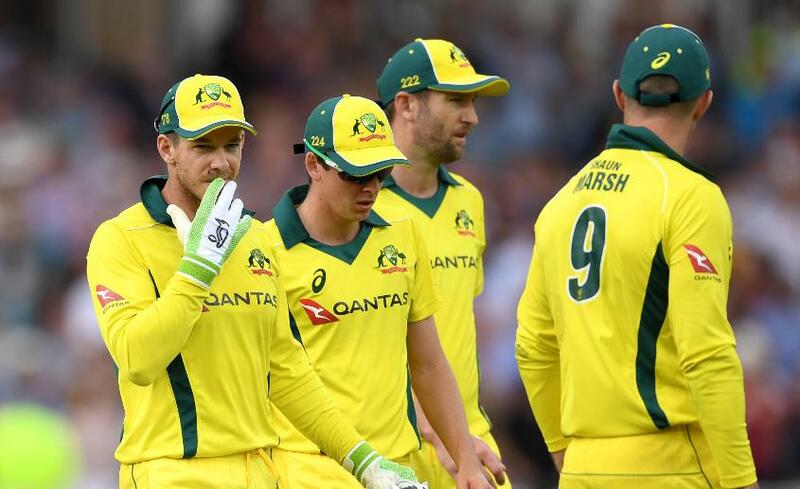 Australia slumped to their worst-ever ODI defeat to fall 3-0 behind in the series with two matches to play. England racked up a scarcely believable 481/6 – the highest men’s one-day international score of all time – before dismissing Australia for 239 to complete a 242-run thrashing and seal the series between the sides, taking a 3-0 lead with two games to play. England’s world-record total was founded on the back of a wonderful opening partnership of 159 between Jonny Bairstow and Jason Roy, built on by a magnificent 147 from No.3 Alex Hales, given the afterburners by captain Eoin Morgan’s 30-ball 67, and only didn’t breach 500 when Joe Root and Moeen Ali failed to get going at the end. Jos Buttler’s contribution was a mere run-a-ball 11, which says something about the depth of power in this England side. First, that opening partnership. 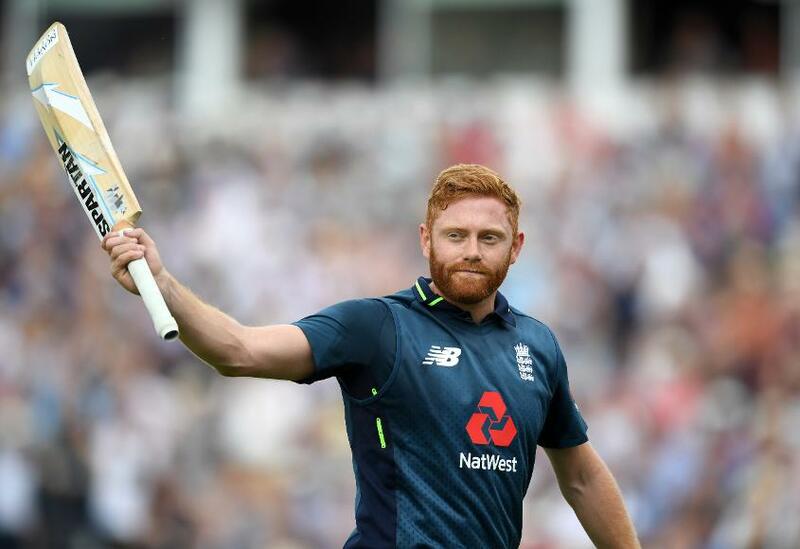 Before this game, Roy and Bairstow could justifiably claim to be the two most in-form players in a side full of them, the former having smashed 120 off 108 balls in his most recent innings, and the latter having only had a run of three consecutive hundreds ended in the first game of the series. 'Get one early' would have been the message from the Australia camp, and they almost did when Bairstow was struck in front by Ashton Agar in the ninth over. He reviewed, ball-tracking showed it would miss the stumps, and the Yorkshireman smacked another 112 runs. The two matched each other virtually shot for shot, and Roy looked set to better his score from three days hence before he was run out by D’Arcy Short against the run of play. Bairstow did reach a hundred from just 69 balls, and made his way to 139 before pulling straight to deep mid-wicket. It seemed inconceivable then that the two would end up competing for third place in the day’s 'most destructive innings' contest. 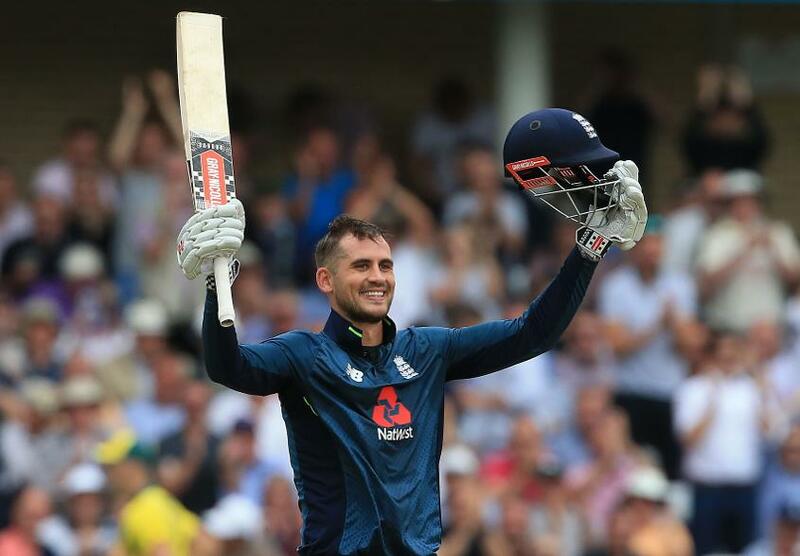 But so it proved as Hales, whose 171 was instrumental in driving England to the record 444/3 against Pakistan – also at Trent Bridge – which they broke today, again helped England break into uncharted territory, bringing up a 62-ball ton before falling just short of 150 swiping slightly tiredly to deep mid-wicket. It was England's sixth-fastest hundred in ODIs – all have come since 2014, four since the start of 2017, and three in 2018 alone. Morgan, meanwhile, broke Buttler’s record for England’s fastest ODI fifty, bringing up the landmark in just 21 balls, and at one point taking 42 off a nine-ball stretch. He looked set to bring up a ton of his own before skying Jhye Richardson to Australia captain and wicket-keeper Tim Paine. It seems almost churlish to pick out individual shots – there were an incredible 21 sixes – but there were three which stood out. The first was a massive straight six which brought up Hales’ fifty and had umpire Kumar Dharmasena, formerly an international off-spinner perhaps imagining being a bowler today, flinching before signalling it six. The second was a magnificent down-to-up pull shot from Morgan which came with a crack that was surely heard in Derby and beyond. And the third was swatted miles into leg-side by Hales and propelled England past the world-record score with 4.3 overs remaining. 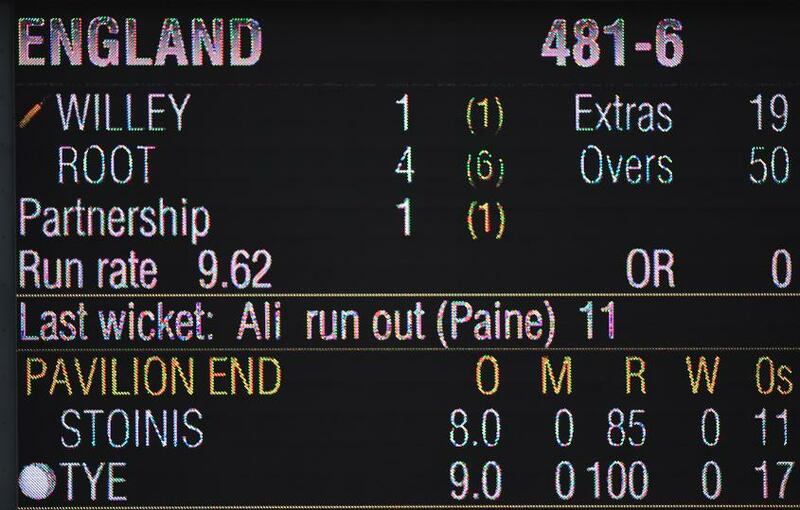 At that point, the first limited-overs score of more than 500 seemed not just a possibility, but a formality, but Richardson’s dismissals of Morgan and Hales in consecutive balls, and a good recovery from Australia – the world record-crossing six was the last boundary off the bat of the innings – restricted England to ‘just’ 481/6. That was as close to a moral victory as they came. Hope flickered for a while as Travis Head made merry, racing to 50 in 36 balls as Australia careered to 95/1 in the 13th over, but his tame dismissal, lobbing a return catch to Ali, marked the beginning of the end – he was the only Australian to pass 50, although Marcus Stoinis’ 44 also deserves mention. Though not as eye-catching, England’s bowling performance will have pleased the coaches almost as much as their batting thrilled the fans. Considering the ground's history, the flatness of the pitch, and that Australia had no choice but to come hard, that three bowlers conceded less than a run a ball was little short of miraculous. 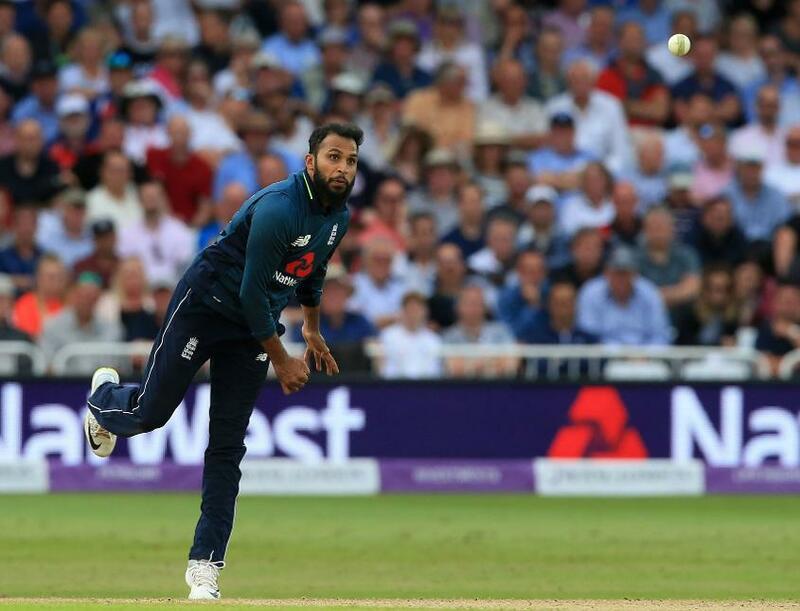 Once again it was spin that did the bulk of the damage, Adil Rashid’s leg-spin claiming four victims and Ali’s off-spin three. Mark Wood went wicketless, but breached 90 MPH on multiple occasions, and showed he can combine parsimony with pace by only conceding 38 from his seven overs. Willey was the most expensive, but his 56 runs will be seen as less important than the two wickets he claimed, the first of which set Australia back early as Short was fooled into chipping to mid-on. Australia were eventually dismissed for 239, 242 runs shy of England’s total, and it is becoming hard to avoid the conclusion that England are about twice as good a side in this format. If Australia just about clung on to the coattails for the first two games in the series, this game, England's largest-ever ODI win and Australia's heaviest-ever ODI defeat, confirmed that the gap between the teams is more of a chasm. England have already claimed the rubber, 3-0 up with two games to play, and it is hard right now not to see them winning all five. Australia have to regroup, and fast; the two sides meet again at Chester-le-Street on Thursday 21 June.